iPhone OS 4 (now renamed to iOS 4) is available for FREE on June 21st. 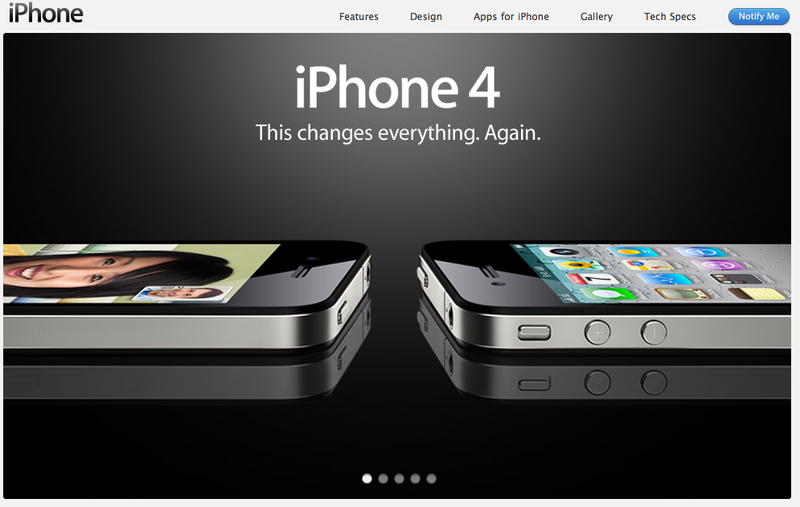 Yet again Apple has blown the competition away in several areas with the revelation of the new iPhone 4. Looks (almost?) exactly like the leaked phone and while lots of things were expected there are a few more treats that Apple has thrown in. Firstly the display. Just like the iPad is uses an IPS display which is more power hungry but produces better viewing angles and better colour representation and also like the iPad is uses a resolution that is completely different from the competition. It uses a 960 x 640 display while the maximum resolution I’ve seen on an Android phone is 854×480. I think the reason behind this resolution is that older applications can be scaled exactly 2 times on the screen (old resolution was 480×320) which is easier on the processing and thus better on battery life. Also, this resolution provides the same number of pixels you would find in a typical netbook with 1024×600 screen resolution. This is a great improvement but the only concern is if application developers try to squeeze too much on the screen and make text too small to read. The camera has HD recording AND editing. Bringing iMovie to the platform is what makes it more of a killer product for those doing in the field recording. You no longer need a laptop to edit videos out in the field. This will aid bloggers at conferences and events a whole lot. The camera finally has a flash and I believe Apple camera will continue to be one of the better ones on the market. Even today the 3GS camera holds it own with the image quality and video capabilities. Tap to focus for video introduced in iOS 4 is another added bonus for video bloggers: no longer do you need a dedicated camcorder. For the ultimate road warrior who always need to be mobile, yet functional this is almost a no brainer. Better to have an iPhone 4 rather than a camcorder and a netbook for video editing. iMovie can export HD video so I would assume that it can edit HD video too. So while you can get a cheap HD camera like the Kodak Zi8 or a Flip Mino HD, the iPhone trumps them in the added functionality and almost matches them on price. Apple’s A4 processor is found inside and is of no surprised and is one of the contributing factors to the better battery life while still offering great performance. Simple things like an extra microphone for noise canceling is an added bonus just like the 3-axis gyroscope which will be big for games. On the topic of games: 2 huge games Farmville and Guitar Hero are coming and for the general consumer Netflix is coming to the iPhone too. There was also mention of iAd for developers which means of more free applications for consumers with hopefully less obtrusive ads. Better battery life is really icing on the top as many Android phones suffer in that aspect, its a bit of adding salt the the wound of bad battery life that Android has. Use of micro SIM is a disappointment but expected. While you can hack together one by cutting an existing SIM card there are safer alternatives like Cut My SIM (main site seems down so here’s an article from Gizmodo about it). FaceTime is currently supported on iPhone 4 only as it is a new standard and Steve mentioned that they are going to make it an open standard but only the future will tell what happens. Currently it is not available over 3G/cell network but I’m not sure if this restriction is just to US (probably they are waiting for AT&T to upgrade their infrastructure to handle the extra load) or is something embedded into the application itself.